Are your marketing efforts truly working? The consumer journey can be very complex for marketers and businesses may have a dozen interactions with a single person across display, video, search, social and on your website or app. It’s also expected that consumers may access your website or app across multiple devices. These different moments of interactions make it difficult for marketers to measure conversion. Marketers have been trying to solve the problem of making an attribution model for years, but existing solutions are usually difficult to set up, they lose track of the customer journey when people switch between devices and they are not integrated with other advertising tools. Google has taken notice and for the first time, they are making it possible for every marketer to measure the impact of their marketing across devices and across channels—all in one place and at no additional cost. How does it work? 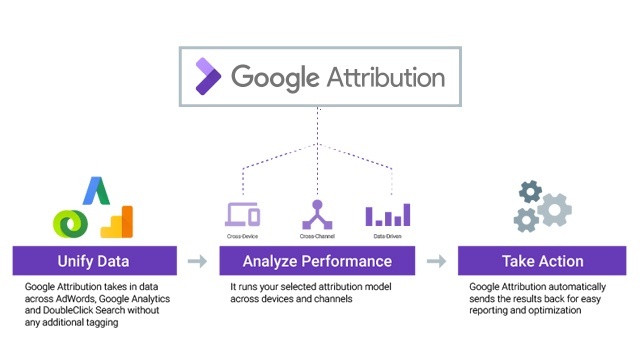 Google Attribution integrates data from Google AdWords, Google Analytics and DoubleClick Search. Jerry Dischler, vice president of Product Management for Google AdWords said that this gives marketers and advertisers a more complete view of your performance. According to Dischler, Google Attribution also makes it easy to switch to data-driven attribution which uses machine learning to determine how much credit to assign to each step in the consumer journey. 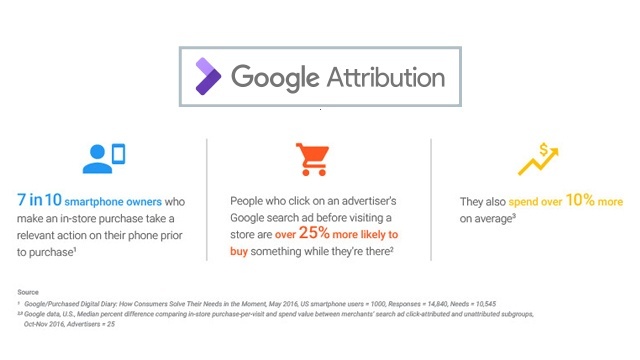 This means that the first time customers engage with your brand down to the final click before they purchase, Google Attribution analyzes each account’s unique conversion patterns. It also compares the paths of customers who convert to those who don’t. This is especially helpful for businesses that have e-commerce stores because they get a bigger picture of the consumer journey of their customers when buying from their website. Though currently in beta mode, the best thing about Google Attribution is that it is free to use. According to Babak Pahlavan, senior director of Product Management of Google, there also exists a more sophisticated version of Google Attribution for enterprise customers. It’s called Google Attribution 360. “It has the same features and simplicity but offers more for advertisers like access to more models and more marketing channels,” Pahlavan said. He also said that Google Attribution 360 allows marketers to access third party data not based on Google as it seamlessly integrates with DoubleClick Campaign Manager, a global product for impression tracking. “360 seamlessly integrates with it and imports conversions that DCM is tracking for you and integrates a holistic attribution model so you can build your models using the machine learning system that we have,” he explained. Mobile has blurred the line between the digital and physical worlds. Most purchases still happen in-store, especially for a country like the Philippines with low credit card penetration rate. People, however, are turning to their smartphones to do research. Their most used websites? Google.com and Google Maps. According to Dischler, people’s most used websites for research is still Google.com and Google maps. To help consumers decide where to go, marketers are using Promoted Places and local inventory ads to showcase special offers and what’s in-stock at nearby stores. It's easier for customers to find a store now because YouTube video ads will have location extensions. That means that when you advertise via YouTube, you can also include your store’s address there. But how do marketers and advertisers know if people who viewed their ad actually went to their store? Dischler is proud to say that only Google has the advanced machine learning and mapping technology to help accurately measure store visits at scale and use the insights to deliver better local ad experiences. Their recent store upgrade to deep learning models enables them to train on larger data sets and measure more store visits by using data from Google Maps, Google Street View, etc. Store visit measurement is now available for Search, Shopping and Display Ad campaigns. It will soon be available for YouTube TrueView campaigns to measure the impact of the video ads on foot traffic to stores. How about if people who saw the ad and went to the store actually bought something? Google will also be rolling out a store sales measurement at the device and campaign levels. This will measure in-store revenue in addition to the store visits delivered by the Search and Shopping Ads. Aside from all these new developments that Google will soon be offering, they’re also bringing in-market audiences to Search to help advertisers and marketers reach users who are ready to purchase products. In-market audiences uses the power of machine learning to better understand purchase intent. It analyzes trillions of search queries and activities across millions of websites to help figure out when people are close to buying. That’s when it will show ads that will be relevant and interesting to these people. For Sridhar Ramaswamy, senior vice president of Ads & Commerce of Google, machine learning indeed delivers more powerful audience insights for these different aspects of the consumer funnel. Nicai De Guzman is the marketing head of Rising Tide, a technology solutions company. She is also the Manila Bureau Manager of Probe Media Foundation's Mulat Pinoy-Kabataan News Network and a regular contributor for SPOT.ph. Follow her on Twitter @nicaideguzman, and LinkedIn.